It’s time to gear up for the holidays. Perhaps you’re working on your own gear wish list to prepare for next year’s trail adventures. Or maybe you’re shopping for the hiker on your holiday list. We’ve got you covered with this year’s list of hiking must-haves for everyone from PCT hikers to weekend backpackers to casual dayhikers. Here’s ten items we use on trail, or have recently discovered, that can add a little comfort, convenience or luxury to any hiker’s gear kit. Wanna win a box of loot containing many of the items on this list? Click to enter our Must-Haves Holiday Giveaway! 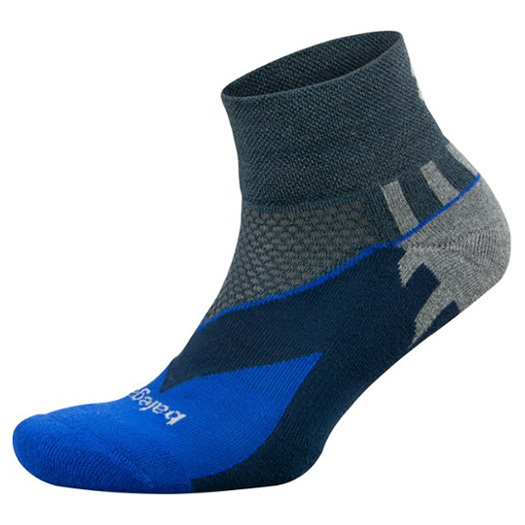 We loooooooovvvvee our Balega Blister-Resist hiking socks for mile after mile of cool, comfy hiking on the PCT. But for dayhikes and shorter trips, we slip on a pair of Enduro Quarter Socks. Featuring seamless toes to reduce friction, mesh panels for extra ventilation, and extra-deep heel pockets for a secure fit, these midweight trail and running socks keep the feet cool and happy all day long. 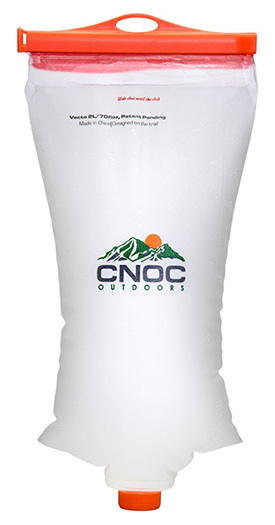 Cnoc Outdoors is a Portland-area cottage company that specializes in innovative, lightweight hiking gear. Check out the Vecto Bladder. Weighing in at just 2.6 ounces (2-liter model), this BPA-free collapsible water bladder opens at both ends for maximum versatility. 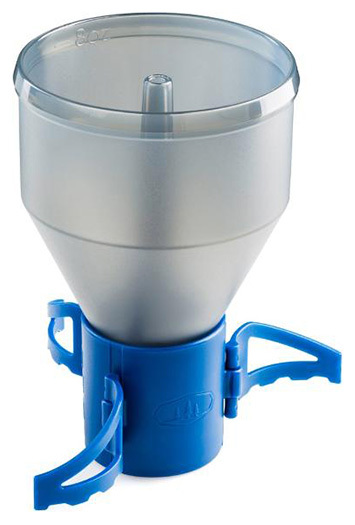 Use the bottle-top opening to attach a micro filter, gravity filter or hydration system hose; use the slider-top opening for easy filling, scooping and cleaning. In addition to our headlamp, we like carrying an extra little light for using in camp and tent for a little added convenience. That’s why we like the Spark LED Lamp. 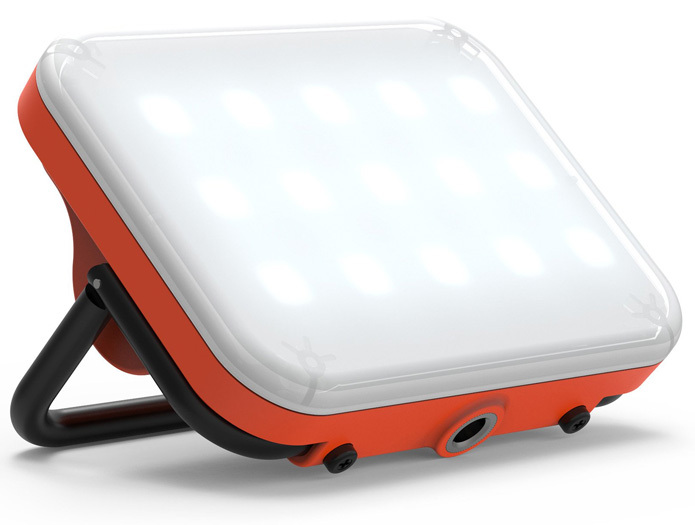 Weighing just 4 ounces, the Spark provides three brightness settings, up to 160 lumens. Stand it up for cooking in the dark, or hang it in the included diffuser bag for a nice reading light in the tent. Plus, it’s USB rechargeable, so no need for disposable batteries. We can always rely on GSI to help satisfy our camp coffee fix—and this might be their smallest, lightest solution yet. The Coffee Rocket weighs just 2.1 ounces and can nest right inside your coffee cup or cooking pot. Preparation could not be easier: just fill the grounds cup, snap on the drip cone, set it on your cup and pour in hot water. And since it doesn’t require paper filters, cleanup is a breeze. If you’re like us, you probably have a few partially-used fuel canisters that you try to measure by shaking and listening to how full they sound. The JetGauge takes the guesswork out of figuring out how full those cans really are. Just choose the canister size you’re weighing, screw it on, and the readout display tells you exactly how much juice you have left. * No wonder this handy item won a Backpacker Gear of the Year Award! Our insulated bottle is definitely one of our favorite comfort items for keeping our cold drinks cold and our hot drinks hot. 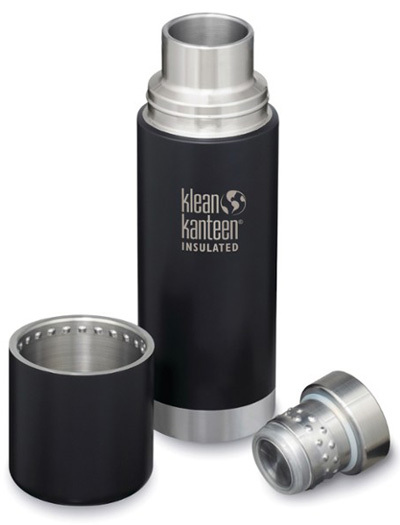 The new TKPro Bottle features a unique cap that you can open and pour without risk of dropping it in the dirt, and a screw-off, insulated cup to enjoy sipping your hot/cold beverage of choice while making meals or sitting by the campfire. Yes, it’s heavier than other bottles, but we think it’s worth it! You should always hike with your ID, a credit card, a little cash, an ICE card and your personal insurance card. Sure, you can carry these things in a little plastic baggie, but those can get worn and torn in no time. 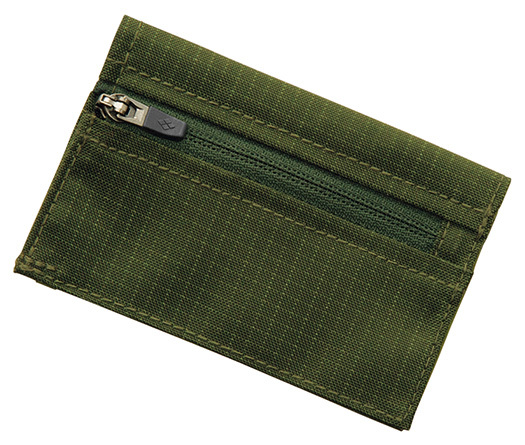 We carry our stuff in this Trail Wallet. Weighing just 0.5 ounce, it features three slots for essential cards, a cash slot and a small zipper pouch, which is great for carrying a few quarters for showers or laundry. This summer, the Campster Sandal was our camp footwear of choice. 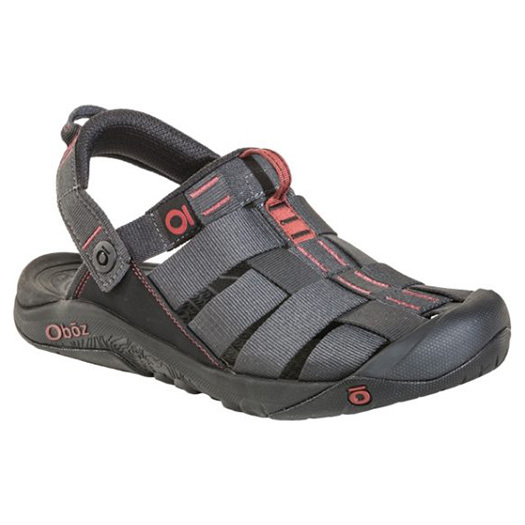 The open sandal style lets feet relax and breathe, yet they’re durable and protective enough to handle rough terrain and the occasional river ford. They also sport a convertible heel strap for two wearing options, as a sandal or clog, and they’re super lightweight at just 18 ounces per pair! Available in men’s and women’s styles. If you don’t like being a stinky dirtbag on trail, this is an extra creature comfort that’s worth the extra 12 ounces in your pack. 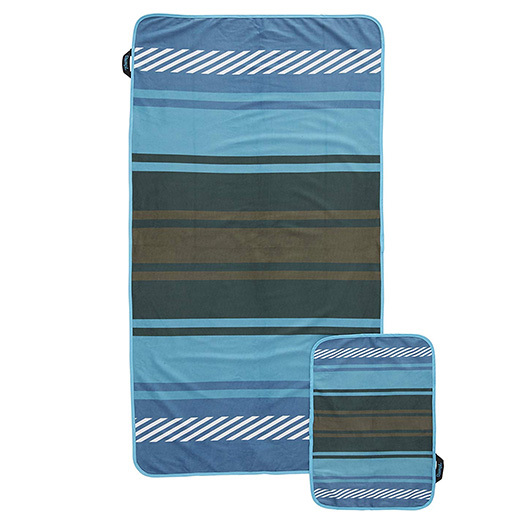 Use the small towel for easy wash-up in camp, and the large towel for showers at rest and resupply locations. These Shammy Towels are made of super-soft, super-absorbent material, and are quick-drying for maximum efficiency. For packing, just stuff them in their own little travel sack. More hikers are discovering the comfort and convenience of sleeping quilts over sleeping bags—but sleeping right on top of a pad can be sweaty and noisy. 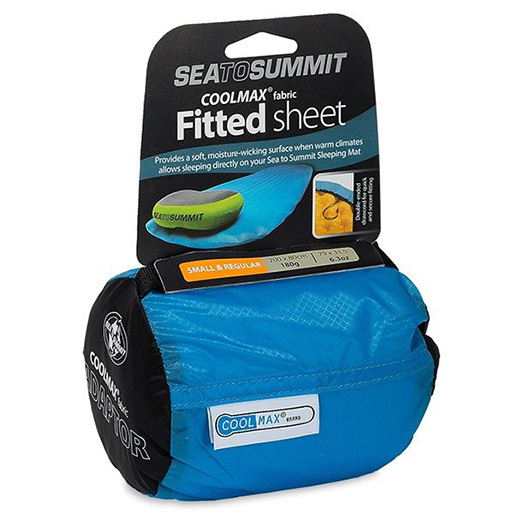 The CoolMax Fitted Pad Sheet features a full-length drawcord to keep it in place, and wicks away moisture for more comfortable slumber. It works with rectangular and tapered pads, and only adds a few ounces to your pack: 5 ounces for 20” pads, 6.5 ounces for 25” pads. Looking for more great gear ideas? Check out last year’s Must-Haves Gift Guide for even more camp comforts and trail conveniences to help make your—or their—hiking adventures even more enjoyable! 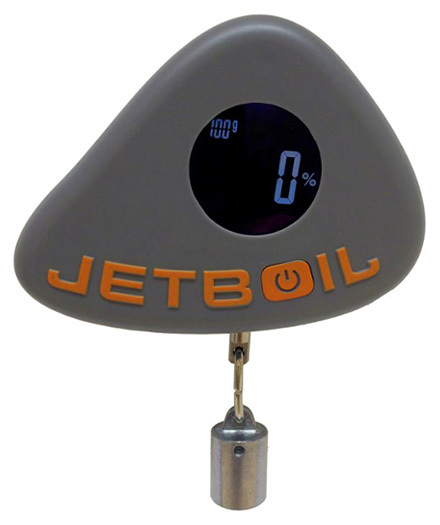 *Designed specifically to work with JetBoil JetPower 100g, 230g and 450g fuel canisters. May not be accurate when used with other brand’s fuel canisters. I love the Balega socks. Super comfy. I’m really excited for my chance to win! Hoping to win these great prizes! Who wouldn’t prefer brewed to instant, this would be an amazing add to my pack! Great ideas for must-haves! I’d be psyched to win these! The Sea to Summit Cool Max! The coffee rocket looks awesome.